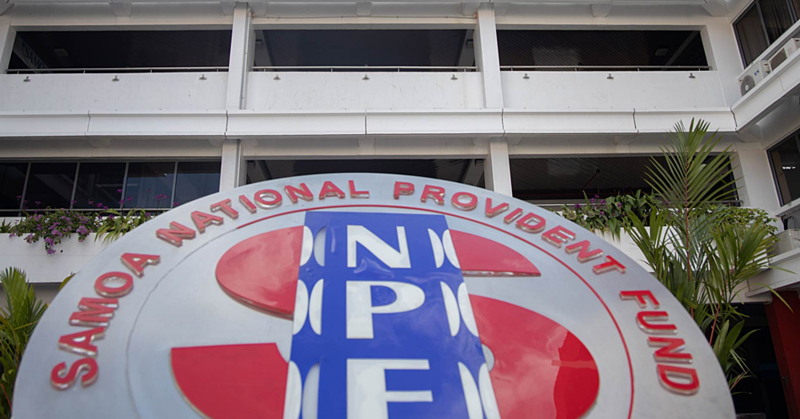 The suspended Director of the National Prosecution Office has been heavily criticised by a Cabinet-ordered Tribunal tasked to investigate her conduct and that of her Assistant, Muriel Lui. The full extent of the Tribunal’s criticisms is contained in a copy of its report to Prime Minister Tuilaepa Sa’ilele Malielegaoi, released to the media yesterday. The Tribunal sat at Tuana’imato last week for two days. It comprised of the Chairman, Sir Robert Grant Hammond, Tuiloma Neroni Slade and Alalatoa Rosella Viane-Papali’i. According to the report, the Tribunal was asked to review the Director’s handling of three separate events including the delegation of the power of prosecution in a matter where she was directly implicated, the unauthorised investigation of the Police Commissioner; and her contact with the N.P.O. while she was suspended. In all three instances, the Tribunal found Mauga’s conduct questionable. “In our view, Ms. Chang’s position was that she could not delegate the case against her to a private prosecutor and she could take no part in discussions as to how to advance it personnel - wise. She could not be objective because she was involved in the case,” the report reads. The Tribunal was also told Mauga had ordered a criminal investigations against the Commissioner of Police. “The case here is a marginal one. The argument is the N.P.O. “picked it up” and continued the exercise as a prosecutorial body. But unfortunately not very well as these criminal charges were withdrawn and dismissed,” the report reads. As for her continuing involvement with the N.P.O. after she was suspended, the Tribunal found that it was wrong. “Ms. Chang was formally suspended on I7 August 2016. This meant she was to cease all of her duties, tasks and responsibilities as D.P.P. It would have been apparent to those responsible for her suspension this would have some downstream consequences in the N.P.O. But this could not be a matter for her. She was suspended. She has to stand aloof." “It came to the AG’s attention that Ms Chang was ordering and closing off some files. She had attended the office on occasions and was giving instructions in relation to the non utilization of some pathologists. The facts are plain that to some extent she did carry on at least for some time some NPO functions." “The AG’s concern was passed on to the CEO to the Ministry of the Prime Minister and Cabinet on 17 October 2016. The acting CEO of that unit thereupon formally warned Ms Chang that she was in breach of her suspension order." “This activity was clearly a breach of the civil service values and code of conduct. Ms Chang’s argument came close to one of necessity - that there were things she needed to do." In the end, the Tribunal recommended that Mauga be removed from Office. “Unfortunately, we are obliged to recommend that Ms. Chang should be removed from Office." “On the delegation point, she was badly in error despite the warning of senior public servants including the A.G. and the Prime Minister as Minister for the N.P.O. Act that she should separate herself entirely from the prosecution of herself." “This matter required the application of wisdom and common sense but sadly, this was not reflected in the decisions she made." “The obligations she was under were significant constitutional prescriptions." “Yet when suspended she determinedly clung to the position she had taken up. This was all contrary to public service values. She ignored the conflict and impropriety that facing charges in her personal capacity, she still sought to appoint her own choice of prosecutor." “This was easily the most significant concern to all who have had occasion to consider this case." 1. This is a Report (“the Report”) to the Prime Minister of Samoa (“The Prime Minister”) under s.11 (6) (b) of the National Prosecution Office Act 2015 (“NPO Act”). 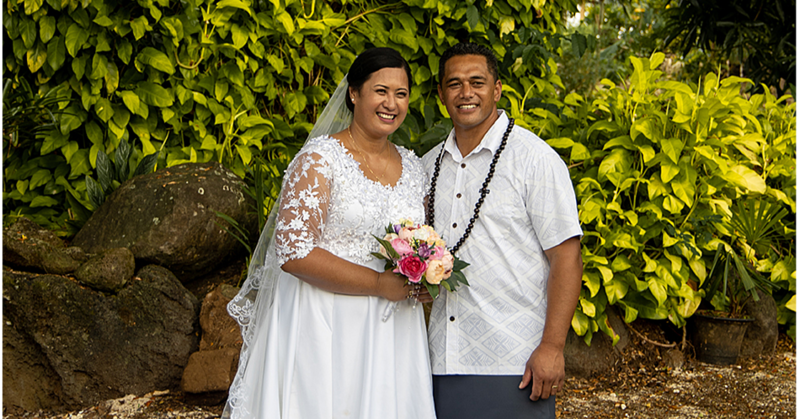 It is advanced by a Tribunal appointed pursuant to s.11 (4) NPO Act and Cabinet directive FK (16) 37 dated 6 October 2016.
iii) Alalatoa Rosella Viane Papalii (a member of the Samoa Law Society appointed by the council of the Samoa Law Society). The Terms of Reference (“TOR”) of the Tribunal are set out in Schedule A of the report. (“AG”) was orally examined. Closing submissions were made by counsel for the parties. February 2017. A tape was made of the entire hearing but not transcribed. It is held securely. The hearing was an open one so that members of the public could attend should they so wished and some did. Counsel had enquired as to the standard of proof to be employed at a hearing of this character. We advised and counsel accepted, that before an adverse finding could be made against Ms Mauga Precious Chang (“Ms Chang”) or Ms Muriel Lui (Ms Lui”), that there should be “clear and compelling” evidence. This is because although this is not a criminal case, the consequences on the parties of an adverse finding, are very significant. Traditionally in common law countries, prosecutorial functions were carried out by the Attorney General or some subset of his or her office. New Zealand has a Crown Law Office which is headed up by a Solicitor General as the second law officer; the Attorney General being the first. the Independent State of Samoa (“the Constitution”), the Head of State acting on the advice of the Prime Minister, may appoint a person qualified to be a judge of the Supreme Court of Samoa, for a term of six (6) years as the DPP. The terms and conditions are to be provided by statute. The primary function of the DPP is to institute and conduct criminal proceedings. Ms Chang was appointed to this office as its first DPP. Parliament also passed a NPO Act which came into force on 1 January 2016. In the first half of 2016, the NPO was set up with premises and staff and a Guide for Prosecutors was issued. It began its work. The DPP holds a significant public office, the importance of it is recognized by s.11 NPO Act. She can be removed from office only on one or more of the grounds stated in s.11(2) NPO Act. One of the grounds for removal as set out in s. ll(2) (e) is that “[she] has engaged in any conduct which places the Director in conflict with the performance of the functions of the Director”. If this is alleged to have occurred (as here), the Head of State acting on the advice of the Prime Minister must appoint a Tribunal pursuant to s.11(4) NPO Act, to enquire into the matter subject to the rules of natural justice (s.11(6) (a)). The Tribunal at its conclusion must then pursuant to s.11(6) (b) (i) & (ii) provide a written report to the Prime Minister setting out the facts of the matter and its recommendation as to “whether or not the Director should be removed from office”. Head of State and the Head of State will accordingly remove the Director from office. This is a protection for the DPP of a Constitutional character. If a Tribunal is appointed, then under s.11 (8), the Director can be suspended until a final decision is made on the removal. iii) Direct contact with the NPO office and staff whilst suspended. There is no real dispute as to what happened. This was helpfully summarized by counsel for the State Ms Wallwork in schedule 1 of the TOR reproduced below for ease of reference. The Minister of NPO wrote to Ms Chang also expressing his concern with her making the decision regarding the delegation of prosecution powers in a matter that directly affects her. The Police Commissioner attended a meeting with Ms Chang at the NPO office. Also in attendance at that meeting was Ms Brenda Heather-Latu who had been invited by Ms Chang to the meeting. During that meeting, Ms Chang then cancelled her delegation of her powers of prosecution to Mr Leung Wai and instead purported to delegate her powers of prosecution to Ms Heather-Latu. The AG was also copied into this letter. The Attorney General wrote to Ms Chang advising that, in accordance with the NPO Minister’s letter of 27 June 2016, the Attorney General proposed to appoint an independent prosecutor for the criminal case against her. Ms Chang wrote to the Attorney General (in response to his letter of 29 June 2016) and advised that she had delegated her powers of prosecution to Ms Heather-Latu in relation to the criminal matters she was involved in. The NPO Minister wrote to the Ms Chang, the Police Commissioner and the Attorney General. In this letter the NPO Minister advised that if there are still differences of opinions then the matter should be referred to the Attorney General to appoint an independent prosecutor. The Attorney General wrote to Ms Chang advising that an independent prosecutor from New Zealand, Mr Satiu Simativa Perese, had been appointed for the criminal matter against her. There was no response from Ms Chang to this letter. The Police charged Ms Chang on with offences arising out of the road traffic accident. Ms Chang was summoned to appear in the District Court on 13 September 2016 for the first mention of the charges against her. Ms Chang was then suspended pursuant to section 11(7)(a) of the NPO Act pending the outcome of the criminal hearing. Ms Lui was then appointed pursuant to Cabinet Directive FK(16) 30 dated 17th August, as the Acting Director. In a media statement Ms Lui is reported as stating that the NPO did not have carriage of the prosecution case against Ms Chang. 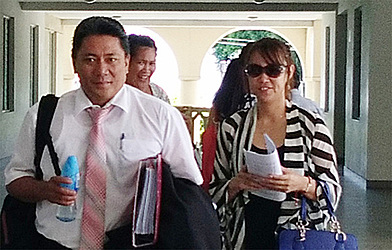 Police informed AG that Ms Heather-Latu attended the Police Station to insist that should be the prosecutor. The Attorney General wrote to Ms Heather-Latu to advise her that an independent prosecutor had been appointed for Ms Chang’s case, Mr Satiu Simativa Perese. Ms Heather-Latu responded to the AG advising that she would be taking carriage of the prosecution case against Ms Chang. On the same day, Ms Heather-Latu met with the Acting Police Commissioner and uplifted the Police prosecution file for the matter against Ms Chang. By email, the Attorney General advised Ms Lui that the NPO Act does not allow the Director to delegate prosecutorial powers to members of the private bar. Further, the Attorney General also advised and requested Ms Lui to delegate to the Attorney General the prosecutorial powers in relation to Ms Chang’s case. Ms Lui did not respond to this email. There was still no response from Ms Lui to the request for assistance as to delegation, in the email of the AG to her dated 11 Sept 2016. When Ms Chang’s case was called in the District Court on 13th September both Mr Perese and Ms Heather-Latu appeared for the Prosecution. Mr Perese advised the Court that he was appearing on instructions of the Police. Ms Heather-Latu advised the Court that she was appearing on instructions of the NPO. The presiding Judge in the District Court then adjourned the matter to 23 September 2016 for the prosecution side to resolve the issue of the appointed prosecutor. The Supreme Court proceedings were called in the Supreme Court. Ms Lui appeared for the Director of NPO and sought an adjournment of two weeks to file a response. The presiding Judge then adjourned the matter to 3 October 2016 for the responses to be filled and a further mention of the matter. The Attorney General again wrote to Ms Lui requesting a response to his email of 11 September 2016 so that the Supreme Court proceedings could be avoided. Ms Lui did not respond to this letter. Ms Chang’s case was again called in the District Court. Both Mr Perese and Ms Heather-Latu again appeared for the prosecution on their separate instructions. By letter, Ms Heather-Latu approached the Hon Prime Minister and requested the Minister of NPO for a meeting with the Attorney General and Ms Lui. That meeting then took place on 28 September 2016 at the Attorney General’s office. At this meeting, Ms Lui then agreed to revoke the delegation of powers to Ms Heather-Latu and to request the Attorney General to exercise the prosecutorial powers in relation to Ms Chang’s case. Act, sometimes prosecutions were delegated by the AG’s office to members of the bar practicing in the private sector or counsel from overseas. But this case is governed by the new NPO Act. Counsel for Ms Chang and Ms Lui, sought to persuade us that the AG is wrong in the view he has taken of the relevant statutory provisions. Undoubtedly, the AG, pursuant to s.6(2) (e) Attorney General’s Act 2013 (“AG’s Act”) can instruct a lawyer in private practice “to provide a legal service”. Leung Wai, very responsibly confirmed that as former AG, he was concerned about the lack of a similar provision in the NPO Act when it was enacted. But this was not included. Act setting out the composition of the NPO. However, the difficulty with this argument is that, there are specific provisions under s. 13 NPO Act as to what the Director can do to have somebody else prosecute. The usual rule is that the specific provision in the Act must prevail. Further, s.4 NPO Act is descriptive not empowering. It simply describes who is in the office and not how they get there. Reference was also made to s.43 (3) Act Interpretations Act 2015 which has a general delegation power but is still subject to the specific delegation provision of the NPO Act. In regards to Ms Chang, we accept that when it was apparent, that she was likely to be charged and certainly when she was charged, she could not personally have anything at all to do with the appointment of a prosecutor and advancement of those charges against her. She was precluded by the general law and s.7 NPO Act which deals with the duty of prosecutors to be “fair, independent and objective”. It has long been accepted by the highest authorities that a prosecutor is a minister of justice. It is not necessary to recite all those authorities some of which are in the guidelines prepared by the DPP herself. So she must have been aware of them. Evidence and Practice at page 26 where the learned authors said ‘prosecuting counsel should regard themselves rather as ministers of justice assisting in its administration than as advocates“. The draft person of the NPO Act appeared to have sensibly reduced that general law to the statutory provision in section 7 to include that a prosecutor must be “fair, independent, and objective”. Given that law, in our view, Ms Chang’s position was that she could not delegate the case against her to a private prosecutor and she could take no part in discussions as to how to advance it personnel - wise. She could not be objective because she was involved in the case. Hence, even if she had a power of delegation to the private bar, she could not exercise it in this case because of her lack of objectivity. Therefore, her actions amounted to a conflict with the performance of the functions of the Director. We make it plain that this finding can only apply to Ms Chang. It was noted by all counsel that Ms Lui was not affected by the delegations carried out by Ms Chang. Act. Her given reasons for not wanting to deal with the AG, in our view bear no weight in this matter. She occupied a constitutional position. Offices of that rank frequently have to deal with each other in the public interest when there are acute differences between them. In everyday language, these difficulties come with the territory. iii) Ms Chang could have utilised s. 9(1) (a) (iv) “in the interest of justice” and requested the AG to exercise her prosecutorial powers. He could have appointed somebody from his office, or even outside it under his powers in the AG’s Act. This was urged on the Director. Unfortunately, she had her own private view of the AG. She chose not to utilise this very sensible provision which could have taken care of the whole problem and allowed her to remain in office as the DPP on all other matters. Instead regrettably, she persisted with her own private viewpoint, when clearly she had a conflict of interest. against the Commissioner of Police that were without authorisation and without following proper procedure this breaching the NPO Act, in that it was conduct that was in conflict with the functions of the DPP. Police for complaints against them. Clause 4.3 of NPO Prosecution Guideline states that prosecutors are not investigators or are not to take charge of direct investigations. April 2016 by that office which was sent to the NPO. The report suggested a number of criminal charges might be possible against some Police Officers/Commissioner. 2016 appointed to the position of Assistant DPP within the NPO. Ms Lui met with the Assistant Commissioner of Police. Obviously she could not meet the Police Commissioner. Ms Lui requested an investigating officer (I.O) and statements with cautions were taken from some police officers. Advice was also taken from a very experienced senior counsel in New Zealand (“NZ”) Kieran Raftery QC, of the NZ Bar. He was of the view that charges were possible. So Ms Lui did not act alone. It was right to get a senior opinion in this case given the high status of the parties involved. As a result, criminal charges were brought against the Police Commissioner and the case proceeded in the Supreme Court. But ultimately all the charges against the by now suspended Police Commissioner were withdrawn by Justice Lesatele Vaai following an application by the Prosecution to withdraw the charges due to insufficient evidence to support them. There was much argument before us, as to the meaning of the words “to review and advise on criminal matters” in s.6 (c ) NPO Act Essentially it was suggested that the NPO was doing no more than reviewing something that the Ombudsman’s office had already investigated. The case here is a marginal one. The argument is the NPO “picked it up” and continued the exercise as a prosecutorial body. But unfortunately not very well as these criminal charges were withdrawn and dismissed. Again we will deal with the outcome of this allegation later on in the report. NPO. But this could not be a matter for her. She wm suspended. She has to stand aloof. It came to the AG’s attention that Ms Chang was ordering and closing off some files. She had attended the office on occasions and was giving instructions in relation to the non utilization of some pathologists. The facts are plain that to some extent she did carry on at least for some time some NPO functions. Chang that she was in breach of her suspension order. Chang’s argument came close to one of necessity - that there were things she needed to do. But this argument simply will not do. A formal directive with Cabinet approval had been made and she did not follow it. Director” of NPO should be removed from office pursuant to s.11(6) (b) (ii) NPO Act. It is uncontested that Ms Lui was acting Director for a short period of time. The position of Ms Chang and Ms Lui must be considered separately because the concerns raised against them are not identical. Unfortunately, we are obliged to recommend that Ms Chang should be removed from office. On the delegation point, she was badly in error despite the warning of senior public servants including the AG and Prime Minister as Minister for the NPO Act that she should separate herself entirely from the prosecution of herself. This matter required the application of wisdom and common sense but sadly, this was not reflected in the decisions she made. The obligations she was under were significant constitutional prescriptions. Yet when suspended she determinedly clung to the position she had taken up. This was all contrary to public service values. She ignored the conflict and impropriety that facing charges in her personal capacity, she still sought to appoint her own choice of prosecutor. This was easily the most significant concern to all who have had occasion to consider this case. This should not have been done by a Constitutional officer who must have the qualifications required of a member of the judiciary. We again emphasise, the DPP office is a constitutional office with very heavy and significant responsibilities. We also found that the evidence, and the only concern against her relating to the investigation of the Police, is not clear and compelling. She did try to take advice and the matter was discussed with some Ministers and officials. However, it is a fine line whether the NPO work she carried out was a continuance or new work and on the evidence before us, it is not possible to be definitive. It would be unjust in such a situation to order her removal. Ms Lui as a result of this enquiry. We recommend that Ms Lui not be removed. Ms Lui filed before the Tribunal the above application to strike out proceedings against her and for costs. As indicated to Counsel at the start of the hearing, the strike out application is unusual as it is more stumble for Supreme or District Court proceedings. In any event it is our respectful view that we have no jurisdiction to deal with such an application to strike out and for costs. This has been a difficult initial period for the NPO. We wish to emphasise that the concerns which were raised before us were directed to Ms Chang and in part to Ms Lui. However, the provenance and utility of the NPO were not called in question by any witness and much was achieved by it in a remarkably short order of several months. The Office was undoubtedly affected by the events which occurred in which Ms Chang only was involved. The nature of the DPP offices has not been called in question throughout the Commonwealth, and in principal is a very suitable balance between the importance of independence and efficient, objective and fair advancement of prosecutorial functions. It is trite, that there is tragic quality to the intervention of the traffic accident involving Ms Chang which brought about all the events which regrettably transpired over the last few months. The responsibility for that rests with the MS Chang alone and her persistence in her views. Nothing that we have heard reflects on the rest of the staff of NPO and their dedication to the NPO. We recognize that it is for the Parliament of Samoa to determine in the future who should carry on the important prosecutorial functions in Samoa. 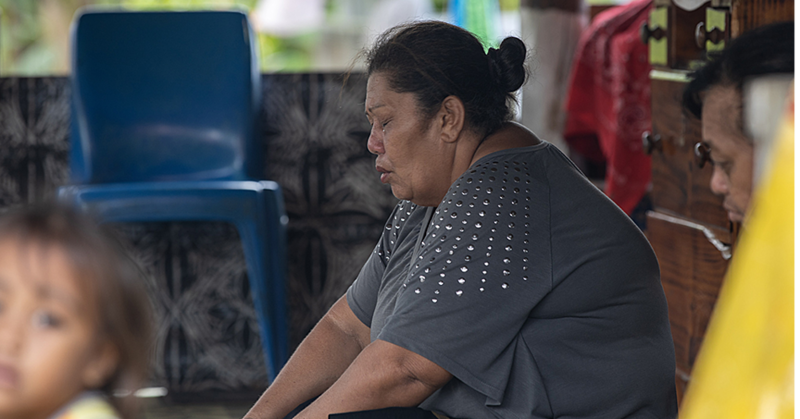 It is essential and confirmed by our own professional experience that the existence of a strong, independent prosecutorial service is fundamental for justice in Samoa.